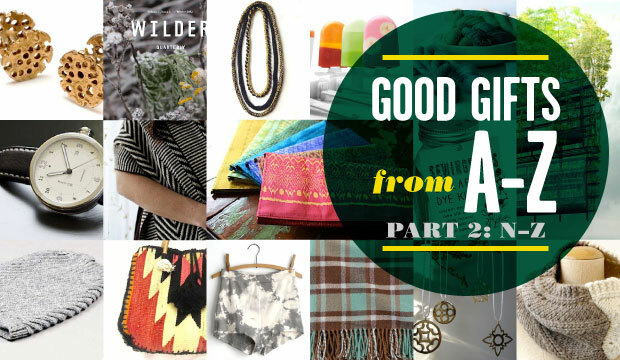 As part 2 of our A to Z gift guide we continue our celebration of handcrafted goodness, artisan collaborations, wild(er) publications, and environmental art projects that propose new models for urban renewal. Giving is definitely a state of mind and one that we think should share the hard work of folks who have thought long and hard about how to make the world a better place. Enjoy our curated selections and the stories behind innovative and culture-preserving gifts that give back. Nau has no doubt been a front runner in sustainable sportswear circles for some time now, but their efforts to support labels that like Pendleton and the goodness of U.S. based manufacturing really brings the issues home. 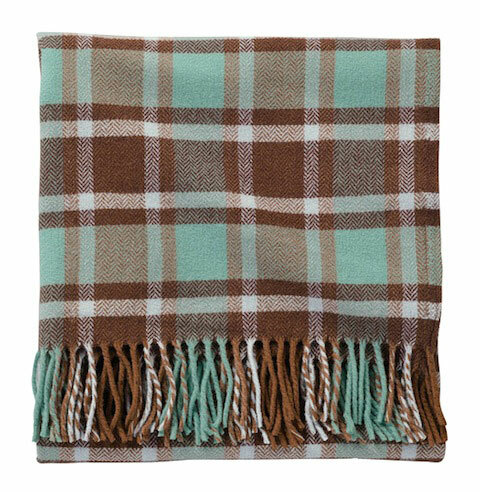 This soft, merino and lambswool “eco-wise” wool-fringed throw is a great housewarming gift or luxury treat for a loved one. The added fact that it is cradle to cradle certified is pretty comforting and re-assuring to boot. Easy to care for (machine wash and dry), you can rest easy that this gorgeous gift will hit home in all the right ways. 54″ x 66″ plus 3″ fringe (137 x 168 cm plus 8cm). We love a chap who can sport smart statement pieces but if he can don recycled cast-off materials in the process, well, this is all the hotter. 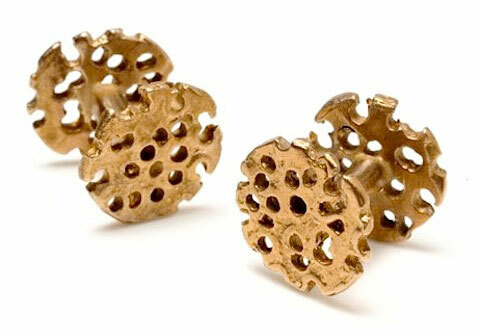 Odette New York has sculpted some mighty fine ‘bullet hole’ cufflinks for the resourceful sartorialist in your life. These double-sided links are first sculpted in wax by hand and then cast in recycled sterling silver or solid bronze. Founded in 2006 by artist Jennifer Sarkilahti, Odette New York jewelry pieces are designed and crafted locally in her Brooklyn studio. Jewelry and gift giving seem to go hand-in-hand, but jewelry that is made-by-hand and celebrates the goodness of the time that it takes to make something for a loved one really is a fashion statement that defies all fleeting trends. 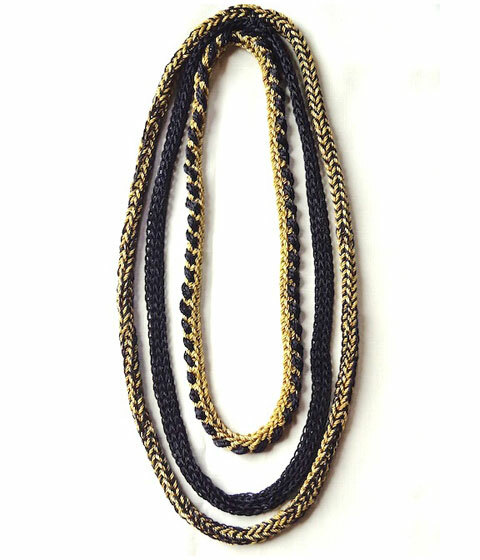 We adore this hand-knit gold cord trio from Pick-Up Stitch in Bethel, Maine. All handmade from U.S. made nylon twine and then accented with virgin wool – this is a great alternative to (unethically-mined) gold and other metals typically used in jewelry and fashion accessories. The three cord set is lightweight and measures 22″, 20″, and 16.” An assortment of other colors are available, too. For the pure fiber aficionado in your life, we highly recomment these superior-quality linen yarns in delectable hues from Quince & Co. Spun from 100% organic linen from Belgium, this is yet another great offering from Pam Allen and Carrie Hoge, two knitwear designers who have teamed up with mill owner Bob Rice to spin cool yarns for modern knitters. (They are also totally dedicated to making yarn locally in Maine from wool sourced from American sheep). Choose from six earth and sky-centric colors. 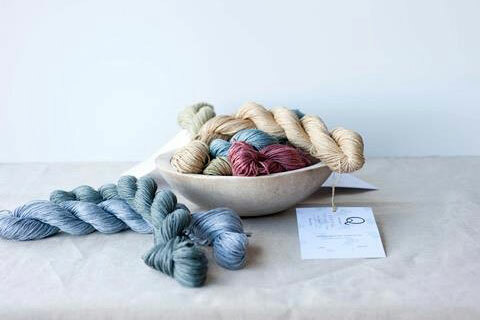 $8.90 per skein, Quince & Co.
Roxanne Duchini has been traveling the globe for years now sourcing the most exquisite textiles and vintage materials in order to recycle them into her one-of-a-kind fashion and home accessory creations. We love her latest repurposed kilim textile tote with crochet details and a handmade ramie handle. A bold and vibrant accent piece for any wardrobe, it also allows one to bring a bit of the colorful souk to everyday street style. All handmade in Brazil in the designer’s studio. Due to the somewhat delicate nature of the handle, Roxanne suggests that this is more of a chic fashion piece and not a heavy-duty shopping bag per se. 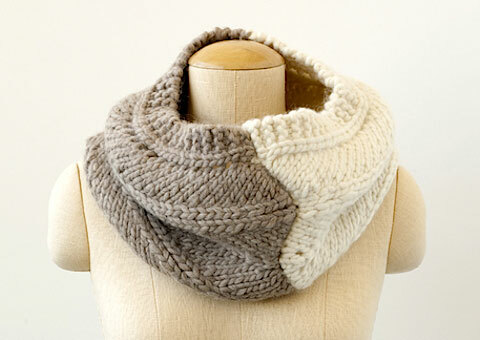 This two-tone handknit cowl is more than just the sum of its soft and luxurious parts. Created by Rubina, a social start-up enterprise based in Brooklyn in conjunction with Delhi-based, non-profit, WORK+SHELTER – this timeless piece is definitely a joint effort in blending modern design with traditional craft wisdom. Made from 100% Peruvian Highland super bulky wool yarn, the chevron cowl comes in five colorways, but we suggest ‘tan and ecru’ as a gift-giving winner. Measures 17″ x 12″ when flat. Learn more about the outreach efforts and artisans profiles at WORK+SHELTER here. There is nothing sexier than short-short britches that are handmade in the USA and of organic cotton at that. We envision parading around the house all day in this naturally-dyed charcoal number from STATE in Brooklyn. A limited edition piece – with no two pairs that are the same, this flattering high-waisted design has been artfully dyed with natural iron and tea tie die. True fashion alchemy from start to finish. All sizes are available for pre-order. Place yours by December 1, though, in order to receive or send a gift by Christmas Day. There is perhaps no better gift than the empowerment of a DIY project and the satisfaction of rolling up one’s sleeves to get a good job done. 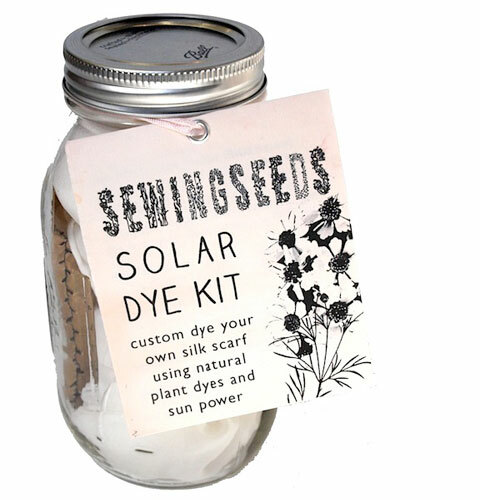 The Textile Art Center’s community dye garden project has generated these great ‘Sewing Seeds’ solar dye kits so that you can experiment with home dyeing within the comfort of your own art studio or kitchen. The goal? To create fun, simple ways to spread the knowledge and appreciation of natural dyes. Silk scarf included – choose from Madder Root, Walnut Hull, and Birch. Please note, this is a handmade product and will take up to 3 weeks to receive. This series of four solid brass ornaments, handmade in NYC by designer Sarah Maine (who also makes things like absinthe spoons), is inspired by the four elements: Earth, Air, Fire, and Water. Together they represent the dynamic beauty of the world we live in, their simple lines embodying strength, unity, change, renewal and peace. 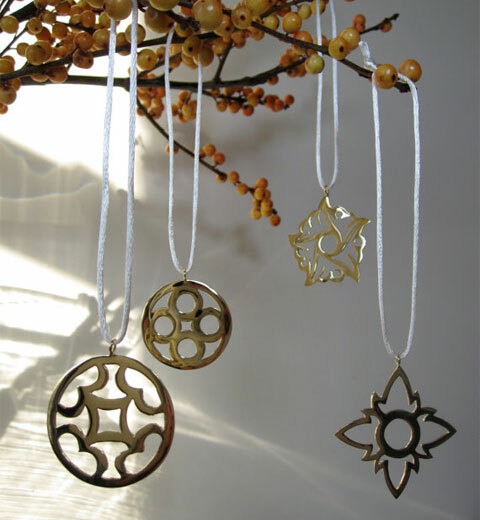 Crafted from durable brass, these will add some elegance to your tree, but could also be used elsewhere around the house (or why not your neck?) all year round. We love the sleek versatility of this textile accent piece from Tout Le Monde’s Cambodia Collection. Currently available in two fabric options: silk and cotton. 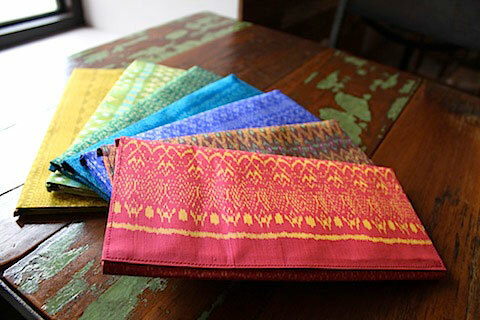 The silk clutches are made from Cambodian handwoven silk ikat scraps discarded by local tailors and each is one of a kind. The cotton clutches are made from handwoven naturally dyed cotton from Goel, a non-profit project dedicated to reviving natural dye traditions. All clutches were designed by Jessica Marati and produced by Watthan, a worker-run sewing cooperative of disabled but able artisans in Phnom Penh. Please contact Jessica regarding color and prints options that are available through the holidays. If greening the environment and jointly supporting innovative urban renewal projects is something that you and a friend see eye to eye on, consider making a donation to artist Stephen Glassman’s UrbanAir project on Kickstarter. 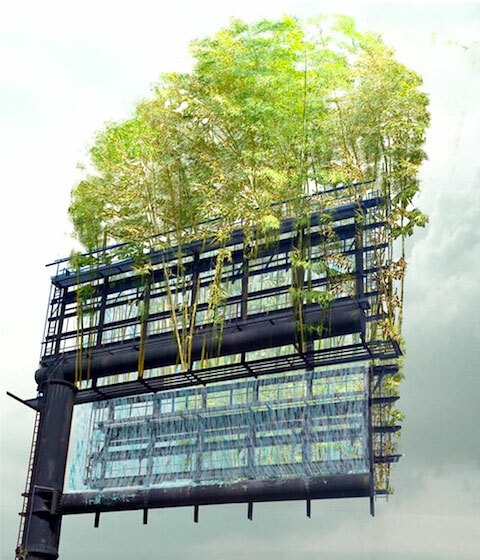 With close to ten days remaining, Glassman is aiming to raise funds in order to implement his clever idea of transforming existing billboards in LA into suspended bamboo gardens. Embedded with intelligent technology, this eco-collaborative effort will include the know-how and expertise of structural and environmental engineers, planners, technologists, billboard fabricators, bamboo growers, plumbers, and outdoor advertising specialists – basically a community effort to create a full scale working prototype and system kit for the future. Part artwork, symbol of renewal, and instrument for sending the right message, we love that gestures of this magnitude are designed to last beyond the spirit of the holidays. Jasmine Aarons and team at VOZ are working hard to revive some of the most ancient fashion secrets on the planet. The fair-trade VOZ label celebrates artisan traditions, weaving expertise, and the best of the modern collaborative design spirit. Their gorgeous ‘Shawl Trigo’ takes two weeks to weave on Mapuche looms and is made of 50% natural wool and 50% natural alpaca llama of natural dark color, giving it a luxurious softness and lustre. We love that the design of this textile wearable is patterned after sprigs of wheat in the Southern Chilean countryside. One size fits all and the entire piece measures 40 x 200 cm. The shawl pictured is the ‘chocolate + ivory’ combination but ‘gray + ivory’ and ‘cinnamon + ivory’ are also available. VOZ is also in the midst of a fund-raising campaign on IndieGoGo. To support the expansion of their ethical fashion label, the further empowerment of artisans in Chile, and their dream of participating in New York Fashion Week, consider donating in some one’s name as the ultimate expression of the do-gooder spirit. Items offered in exchange are from their current collection of accessories and textile treasures. Publications that encourage us to get even “wilder” is something that I will forage far and wide for. 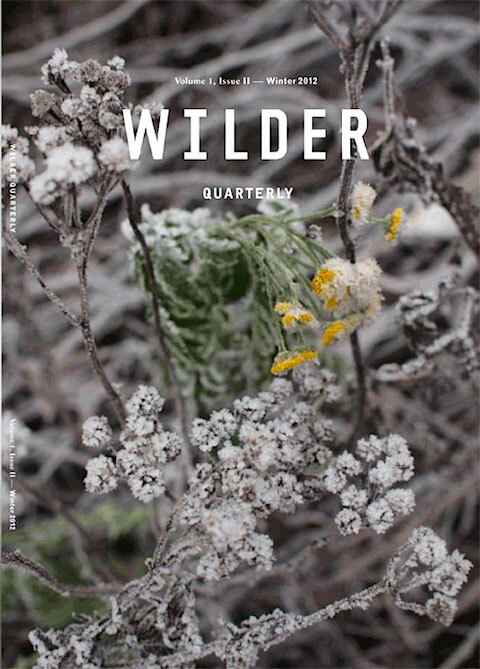 Thankfully, Wilder Quarterly has packaged the best that unfettered cultivation can offer for the “gardeners, foodies, houseplant masters and outdoor enthusiasts in your life.” This quarterly magazine is teeming with life, inspiration, and unpretentious proof that rolling up your sleeves and digging deep is one of the most alluring gestures on the planet. Consider giving their gift bundle (which includes the current Winter 2012 issue and the Fall 2012 issue) to a dear friend or family member. A holiday themed gift box and message can be added for a complete gift package. To be completely honest, I am not at all a watch person and the notion of being reminded of time slipping away each day is something I would prefer to not keep at arm’s length. 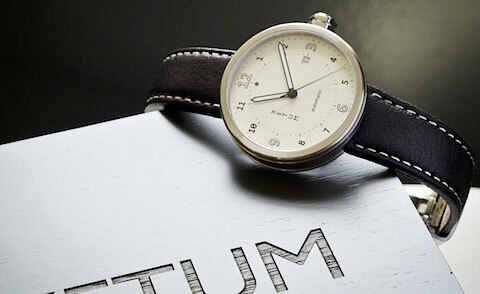 That said, I have been fascinated by Xetum’s impeccable watch design collection since my husband started following their “every movements” some time ago. These California-designed and Swiss-crafted automatic watches are total works of art and worthy of the attention that they receive. You can read all of the specs here, but I am particularly smitten with their company philosophy and vision to consider every increment of their production process – eco-materials, packaging, and even their continued support of reforestation efforts. An investment piece for sure, but the right one evidently as the thinking person’s Rolex. 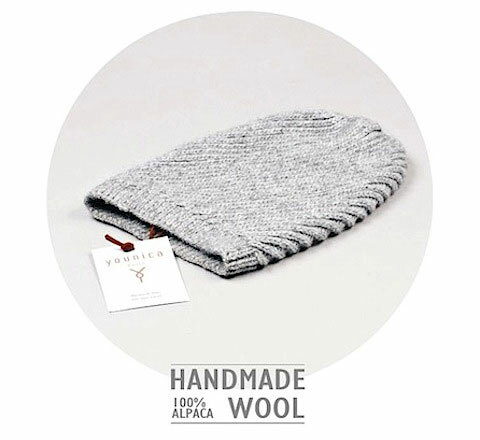 Basics are definitely good stuff and that’s why we love this unisex knit beanie hat by Younica. Handmade from 100% alpaca wool, this is a great stylish gift for that special person who is basically impossibly difficult to shop for. Younica is a new fashion and jewellery label based in the Netherlands and Peru. 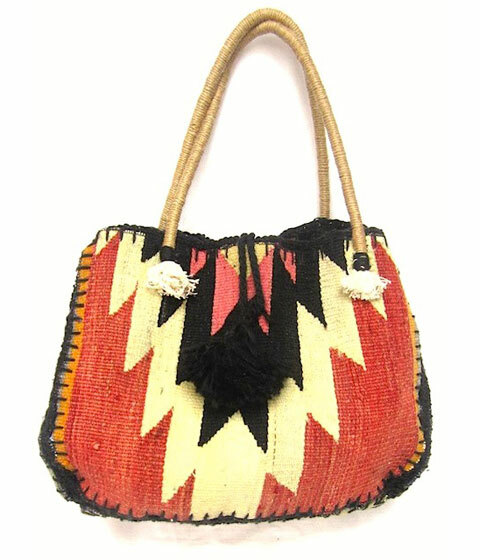 They cooperate directly with Peruvian artisans and are dedicated to preserving their unqiue skills and artistry while introducing them to the global market. The name “Younica” is an amalgamation of ideas from Spanish, English, and Dutch. Basically, translating to, “be you, be unique, be Younica”. The basics beanie comes in a variety of cool colors for a snug fit. Popsicles need not be a summertime only pastime. 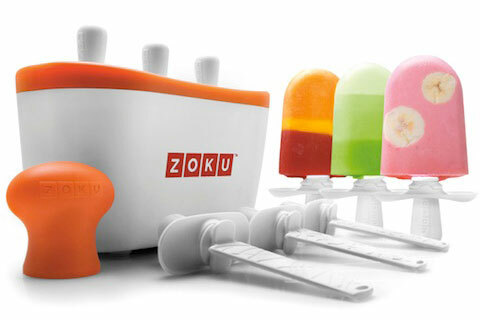 Any one who loves fresh juice, an injection of bright hues, and the cooling off effect of a yoghurt pop fresh from the freezer can enjoy Zoku’s Quick Pop Maker Kit. “To enjoy Quick Pops at a moment’s notice, simply store the compact base in your freezer. The kit includes six durable, reusable plastic pop sticks that have unique ridged designs that allow pops to adhere securely, with special drip guards for tidy eating. A specially designed Super Tool helps to quickly release the frozen treats from their molds. The unit can make up to 9 pops before refreezing the unit again. Includes 1 Quick Pop Maker, 6 sticks, 6 drip guards, and 1 Super Tool.” A great gift for friends with little ones or a lifestyle that demands nutrition on the go. BPA and phthalate free, of course.